The 903 is perfect for corporate event mixers, dinners, and meetings for up to 300 guests! Hold a meeting in one breakout room and continue your lunch or dinner in another section of our venue. Utilize our state of the art technology and our in-house caterer to refresh your beverages throughout the day and provide healthy snack options for your company. Need a corporate event venue for your baby shower, birthday party, or fundraiser? Not a problem! Ask one of our event consultants for more information and to help you build a menu customized to your event. The 903 works exclusively with C&J Catering to make your corporate event runs flawlessly. Looking for centerpieces for your event? C&J Catering also provides floral design and décor services. Need a venue for your baby shower, birthday party, or fundraiser? The 903’s newly renovated ballroom is equipped with brand new technology for rent to ensure your event flows seamlessly. 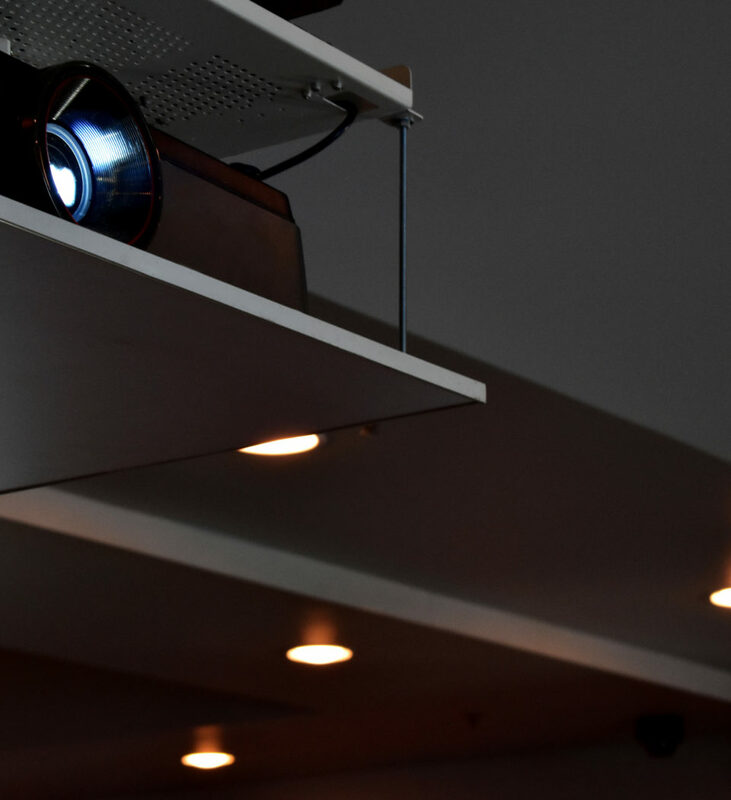 Our drop down projector paired with our internal sound system is perfect for your training meeting and is adjustable with the touch of a button. Have additional meeting participants at a different location? We will happily provide telephone or video conference call equipment and can have an on-site technician available to assist you. Our technology is perfect for your event needs whether you’re planning a hands-on training session, an informative presentation, or a group seminar. Whether you’re looking to host an elegant evening gala, a corporate cocktail reception, or require a nice breakfast or lunch to supplement your meeting, our catering options will complete your event. While you work with your event consultant to design a menu ideal for your event, our events team can assist you with floor plans, linen options, and décor recommendations. Want something sweet? Our in-house bakery designs and creates custom cakes and desserts for any event.